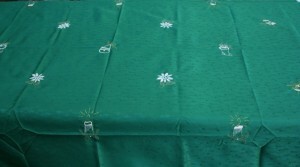 Christmas Celebration with embroidered X’Mas motifs on easy-care green patterened polyester fabric. 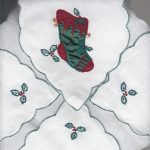 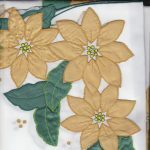 Traditional motifs of Christmas bells, Christmas Candles, and Christmas Poinsettias are selected as embroidered motifs. 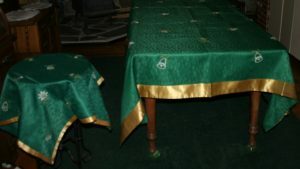 It is All in the Details, the gold border edge trim is folded and well sewn and well finished. 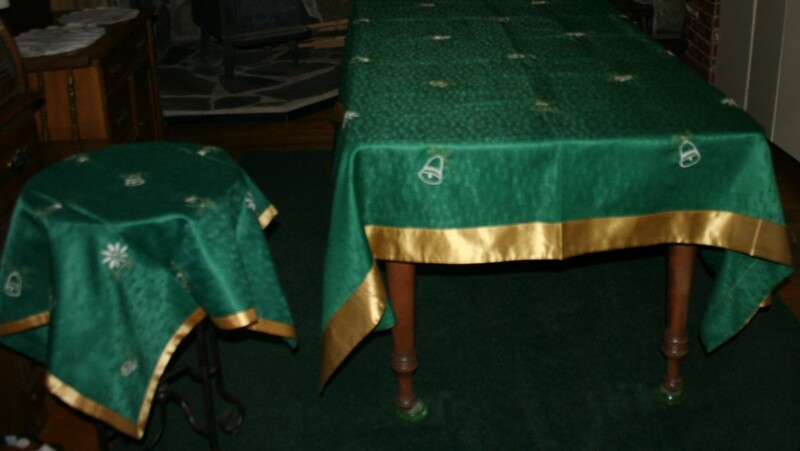 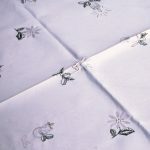 Large size tablecloths available.